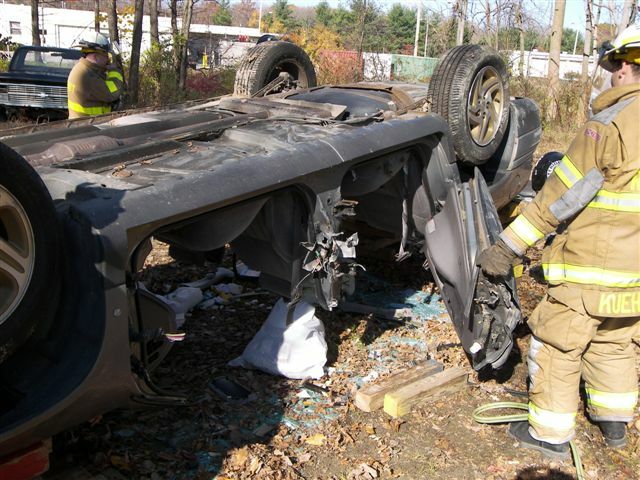 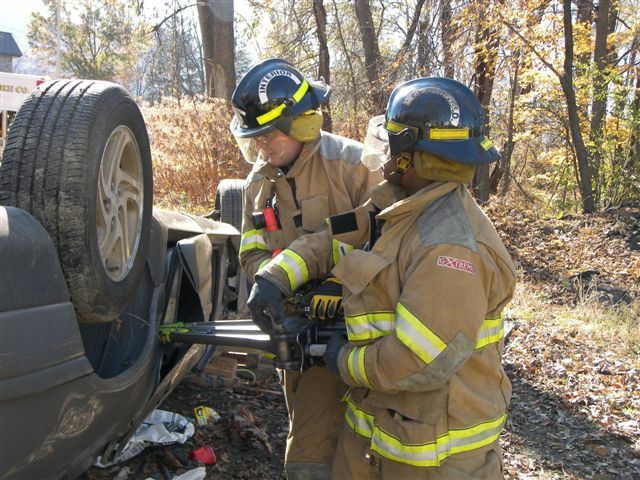 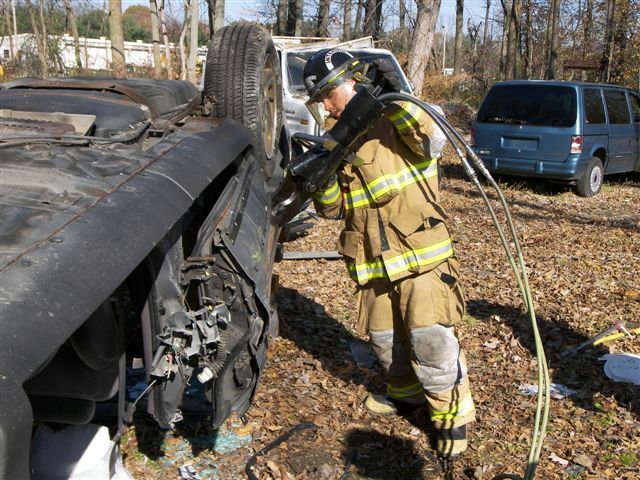 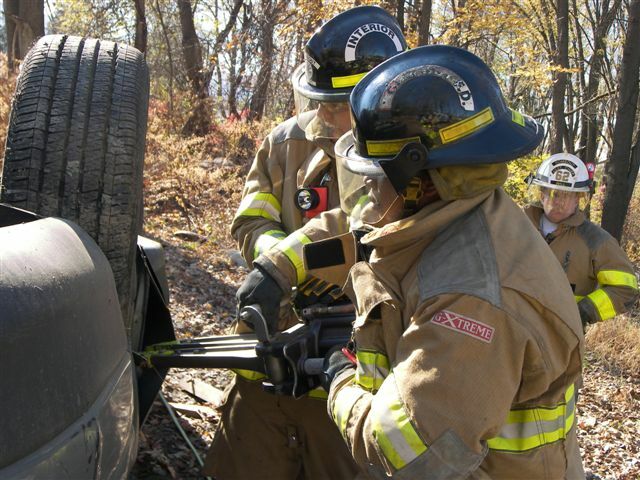 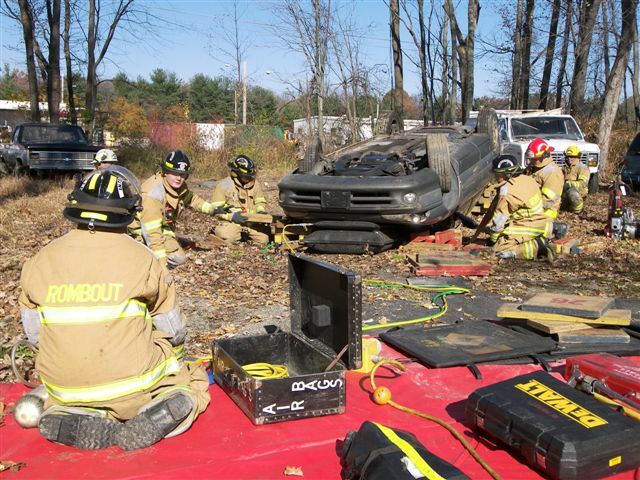 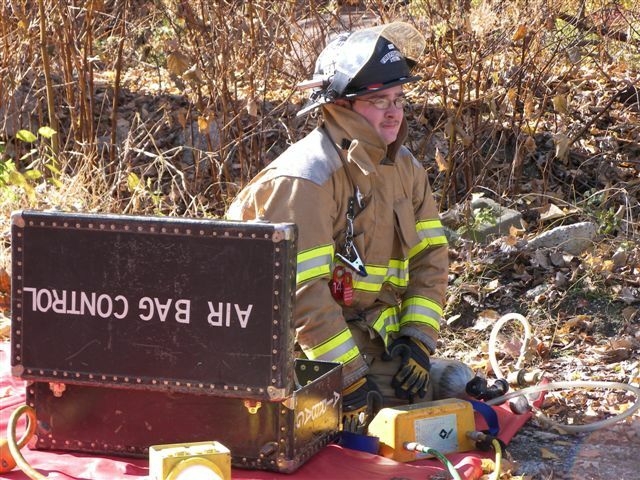 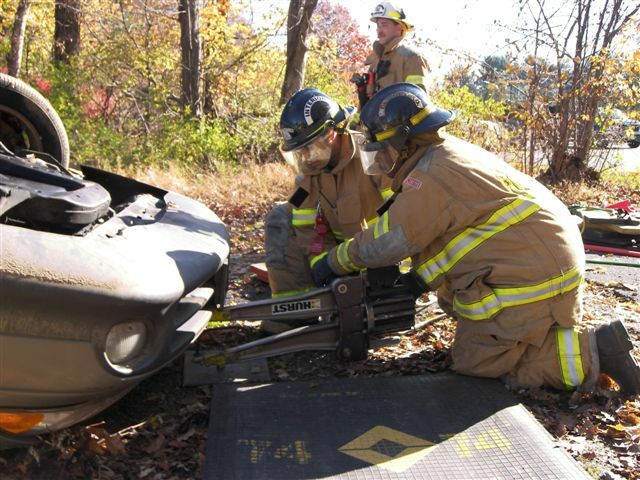 FISHKILL — Saturday firefighters got together to train on rescue equipment used to remove victims from auto accidents. 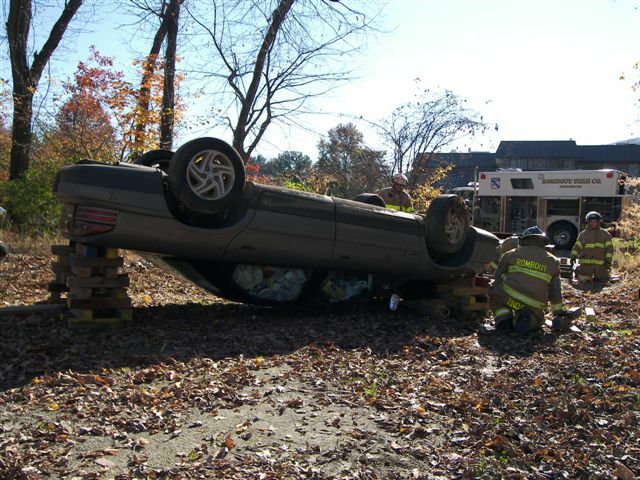 This drill led by 1st Asst Chief Charlie Kuehner, 2nd Asst Chief Wes Hall, and Lt Ken Shirmer, started out with your typical automobile rolled over onto its roof. 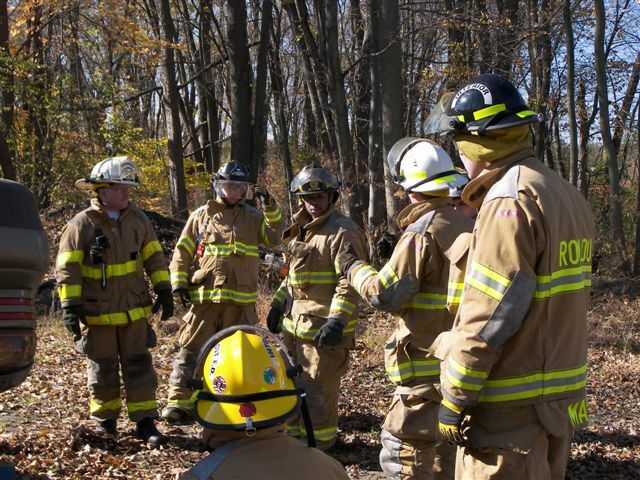 Firefighters were briefed on safe operating procedures and then led into different evolutions. 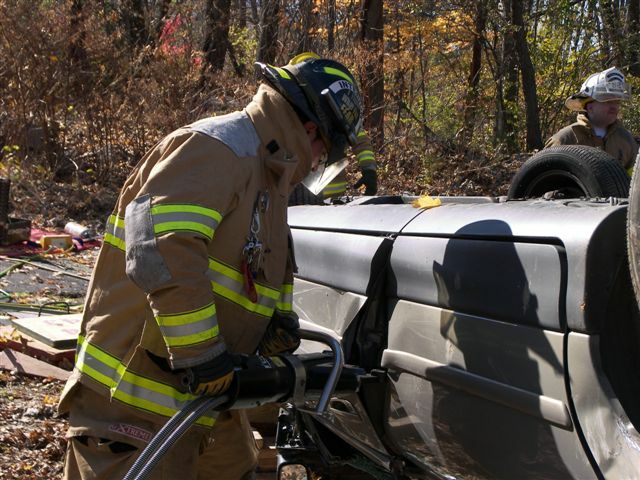 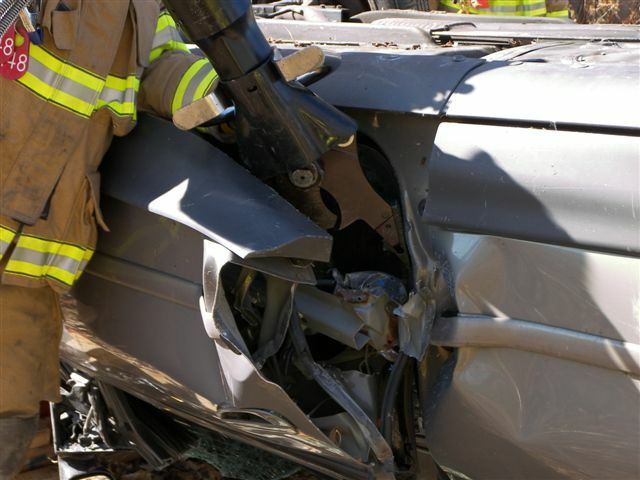 After the car was stabilized, the front of the car was lifted with the Jaws of Life rescue tool. 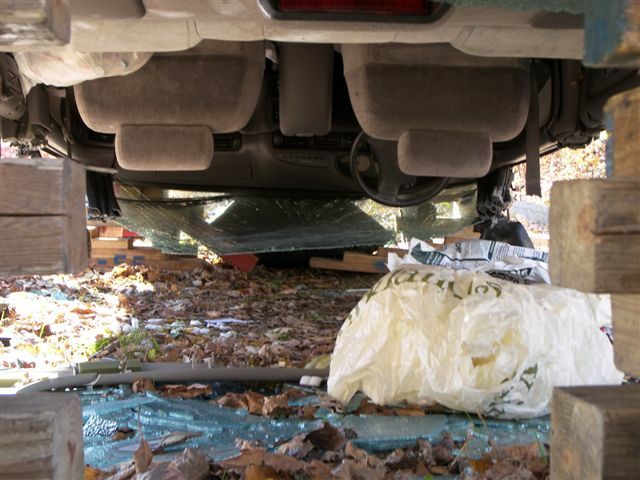 Next they slid the airbags under the hood. 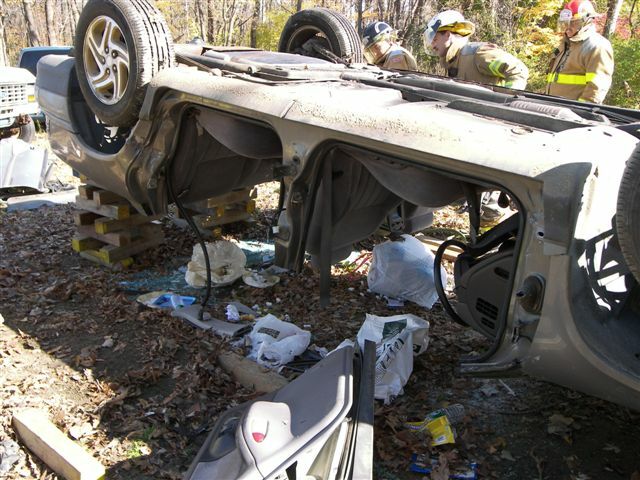 The car was then lifted with the airbags so that the roof could be removed. 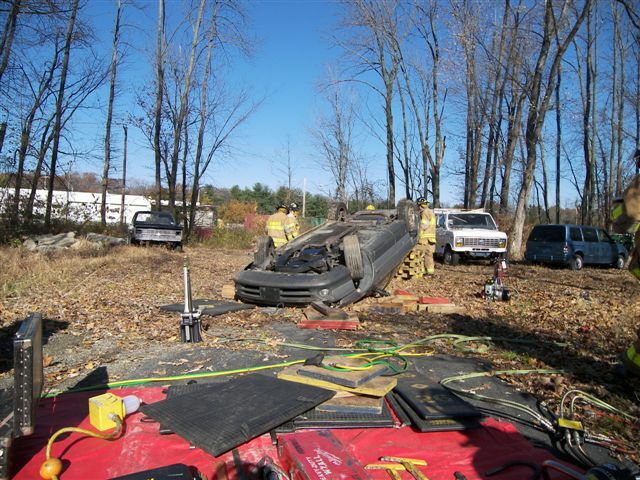 Next two teams worked with different tools to remove the roof pillars. 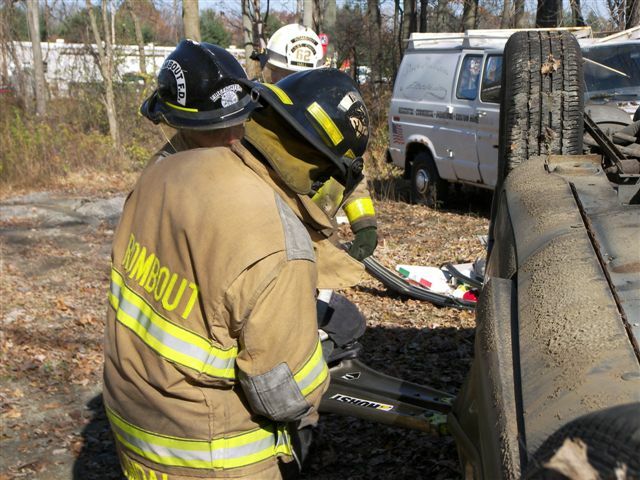 With the roof removed, members took turns removing the doors.